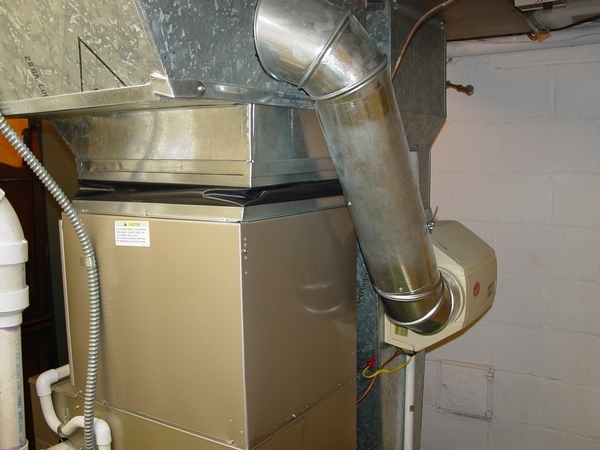 This page is designed for those who want to see basics of the furnace and air conditioner installation. Currently there are 45 high quality photos on the page and price is only $1.34. 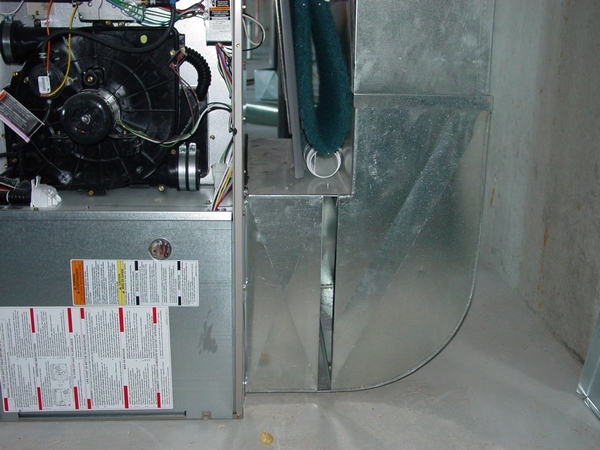 A supply air plenum is a sheet metal box that attaches to the outlet of a furnace, air handler, or A/C coil and is used as a central manifold for other ductwork or take-offs to connect to (see P. 162 & P. 164). 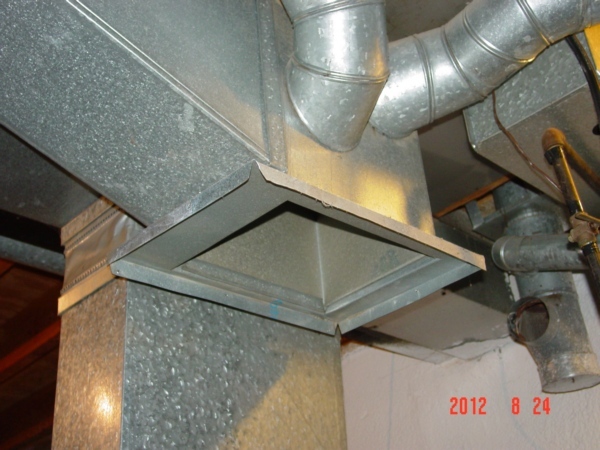 Such a design allows creating a static pressure, which is necessary for the system of ductwork to hold in all elements of the system equal quantity of airflow. 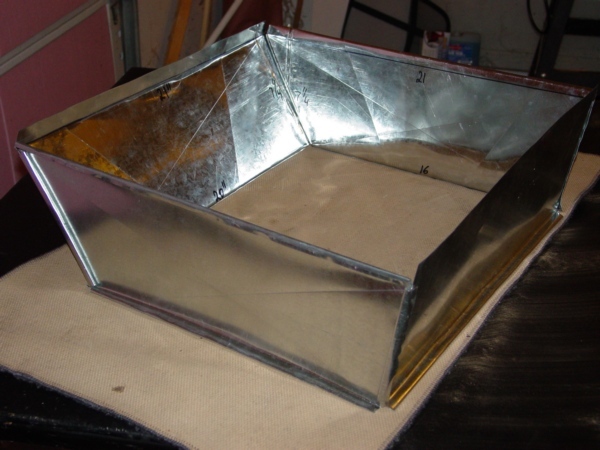 An integral plenum usually used in rather low basements, and it comprises a box with the ½” hem and a Top Cap (P. 161). The sizes of the box on ¼" - ½” exceed the sizes of a furnace flange or the same kind of flange on an air conditioning coil. 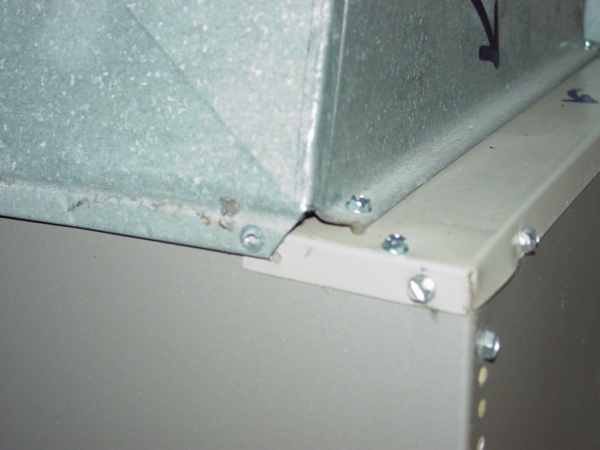 Upon arrival at the job-site a Top Cap usually is not attached to the plenum with the reason to allow you to fit it in place. 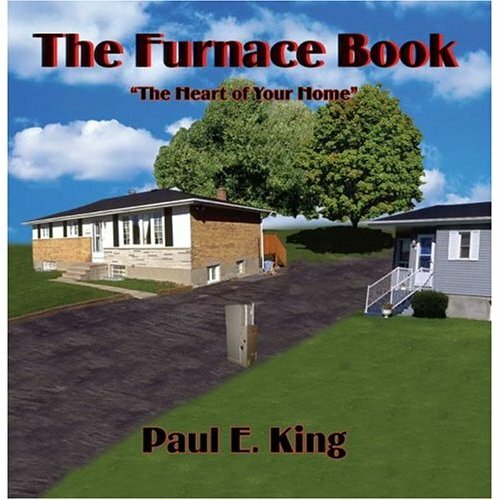 This is one of the most popular chapters from my Ductwork Installation Guide e-book. In general visitors of my website prefer purchase this e-book as a whole, but if some of them purchase one or two chapters from it separately this chapter is their first choice! On 04/29/2015 text of this chapter was significantly modified and improved. Seven pictures were added. If you decide to get an instant excess to this chapter click on the Buy Now button below. If you are still have any questions about this chapter contents ask them on this page.